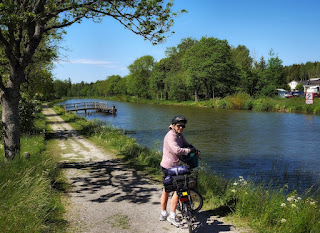 A super day for biking along the beautiful Scandinavian landscape surrounding Gøta Canal between the start of the canal in Sjøtorp (Sjotorp) and the small village Tøreboda (Toreboda). 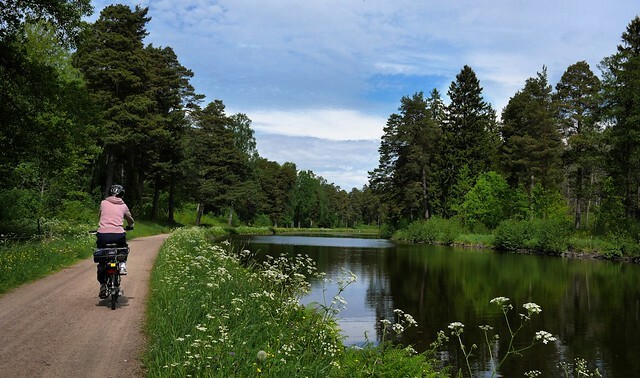 Göta Canal This early 19th century canal connects giant Lake Vänern in the north and Lake Vättern in the south in West Sweden. Its entire stretch includes 66 locks, rivers and lakes. There are various ways of travelling the canal; in style aboard a steamship cruiser, or under your own steam by kayak, canoe, bike, or by walking.